It was one of those oh so rare Saturday night events that I dare not miss—I can have my long sleep after a Friday nightlife, be reunited once again with friends I missed for so long, and be able to run on a new place. Nothing beats the charm of running in a new place, and I’ve always loved to run at night! Those were enough reasons for me to travel all the way down to the southern end of the Metro—Alabang, to join takbo.ph’s first nightfest. It’d be such a shame for me if I missed this event by takbo.ph. I resented that I wasn’t able to join the last one, so I made sure that I can make it this time, despite the very long travel for me. I live up north in Quezon City, and Alabang is way down south around 37 kilometers away from me, making it my most expensive bus ride ever within the Metro (I can go to the nearby province of Bulacan and it’d be cheaper). Anyhow, since I wasn’t familiar with the travel time I allocated more than two hours for the commute, and would you believe I almost didn’t make it in time? There weren’t very much options for me when going to Alabang. It’s a single bus ride, but it’s a very long one. Come to think of it, it was my first time on the South Luzon Expressway on a public city bus (I usually pass the area either on a provincial bus or a private vehicle) and I really, really wished I had a car that time—it was very slow! It was so slow that I now know the difference between Bicutan, Sucat, and Alabang. 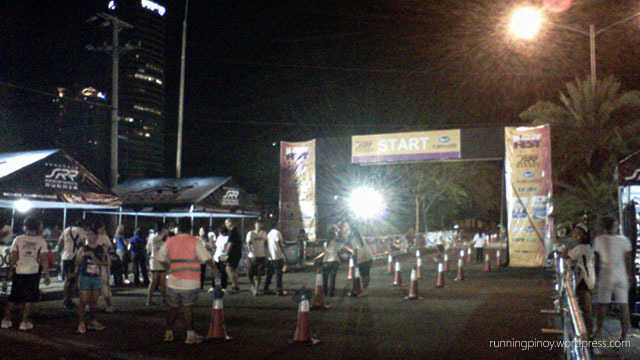 By the time I got to Alabang I had just about half an hour to get to the starting line—and I don’t know where it is! I’ve only been to Alabang a few times before, and that’s almost exclusively inside the mall. 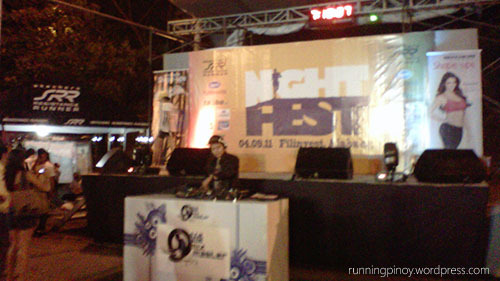 At that time I was thankful I had a BlackBerry which I used to get the download the race map from my nighfest post while inside the bus, and later on to help me navigate through the area. As I got on the main road I saw someone wearing a red singlet—and I quickly assumed that he’s going to the race as well. Naturally I followed him to get me “out of the woods,” but of course I didn’t make it obvious. This only lasted a few meters as I saw the assembly area from afar, and he walked a bit too slow for me (I’ll be late if I had kept his pace). As I jog to the area I quickly saw some familiar faces already doing their warm-ups so I knew I was in the right direction. As always it’s the baggage counter that gives me unnecessary concern when arriving at the starting area—I always need to find it! Recently some races make it easy to spot where it is, but this time there was no sign which tent was which, and I was thankful that I managed to find it and even use the portalet all before gun start. The starting area was really jam packed! I really wanted to avoid the crowd but because of the volume of runners I really had no room to place myself up front so I was forced to start practically at he back of the crowd, starting at least 18 seconds from gun start. There’s no timing chip so that’d reflect on my race results—sigh. Back to the race, I was regretfully doing a 10K—I wanted to do just 5K then because 10K is just two loops of the 5K route and I wanted to finish quick, but on the other hand it was good that I signed up for 10K as I didn’t have plans to race the following day. Sadly, my vision of a decent time went down the drain as it was quite impossible to overtake the long and packed crowd ahead of me—since I was doing two loops might as well just compare splits! 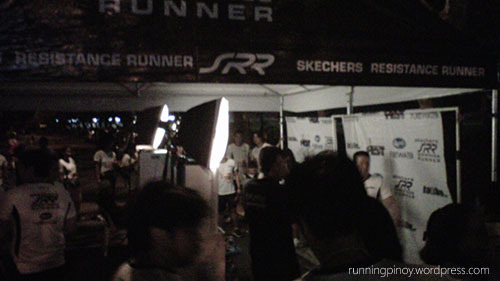 What many runners are looking for: photo booths! Eventually the crowed eased as the rolling uphills and downhills came. We were blessed with a cool weather, but we were also faced with strong gusts of wind (literally, in the face! )—quite a challenging race indeed. And just when I thought I had left the 10K crowd behind, the 5K crowd came! What I loved about this race were the very enthusiastic marshals that really cheered on the runners. Their energy was quite contagious! I also loved that they got my favorite sports drink as sponsor, and the route was interesting. There were just some parts though that could’ve used some light, and some parts that were really narrow. 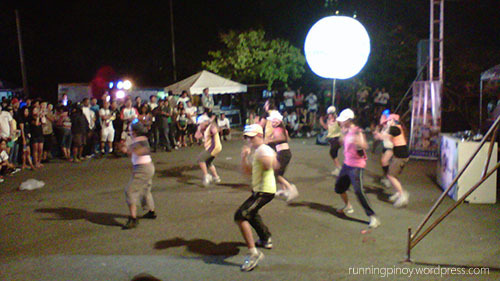 To summarize, takbo.ph nightfest was a great event for everyone, from fun runners to “seasoned” runners that even managed to get new PRs. The activity area was very lively and one of the best I’ve seen. There were some interesting freebies as well and even the usually forgotten finisher’s certificate. Personally, I loved my Alabang experience as I got to discover why many people love running here: the courses are interesting and the air is still fresh—something that not many places in the Metro enjoy. Too bad though that it’s too far south for me (that I kept forgetting it’s still part of Metro Manila) to be accessible. 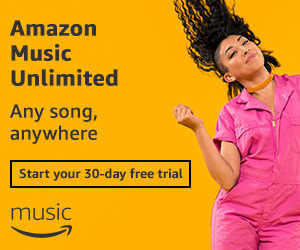 But who knows, maybe the next race would lead me back! Until the next time Alabang! P.S. You may view the race results here. Thanks for the visit, Dennis! We are glad you were able to appreciate our Alabang route! See you again soon. You are welcome to join either the aNR Alabang or the Snail Runners Alabang’s running schedules.